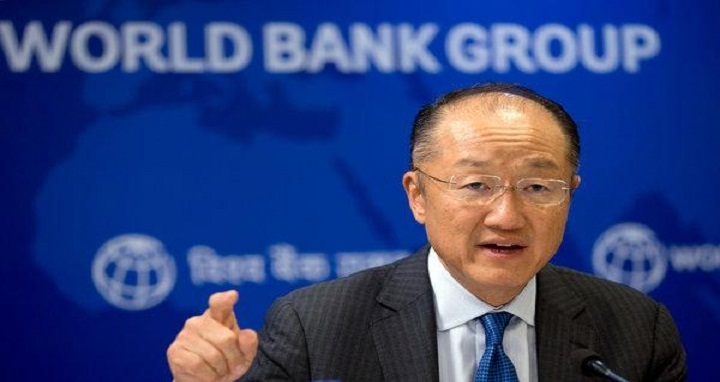 Dhaka, 3 July, Abnews: The World Bank President Jim Yong Kim today said Bangladesh needs more support from the world to help a million Rohingyas driven by violence from Myanmar as he concluded a two-day visit here with the United Nations Secretary-General. President Kim, along with UN Secretary-General Antonio Guterres, visited the Kutupalong camp in Cox’s Bazar, the largest and most densely populated forcibly displaced Rohingya settlement in the world, said a World Bank media release today. “I saw firsthand the sheer scale of the crisis and spoke with women and men facing extreme hardships. They are waiting for a chance to return to their village. Bangladesh has done a great service by keeping its borders open and supporting the Rohingyas. But much more needs to be done as monsoon rains, natural disasters and disease outbreaks are increasing. The international community needs to step up support,” said Kim. Kim and Guterres interacted with Rohingya women and men and visited the transit camp, health centers and women-friendly spaces. In Cox’s Bazar, the Rohingya number more than twice the local population, putting pressure on infrastructure and services. Kim met with the Prime Minister Sheikh Hasina and the Finance Minister, the Foreign Minister and other senior government officials on Sunday. While commending Bangladesh for its generosity in providing a shelter for the Rohingya people, he emphasized the World Bank’s commitment to help the host community and the Rohingya people. “The World Bank will help Bangladesh sustain its impressive development progress while managing the dire situation created by this large influx. We have mobilized $480 million grant-based support, which will help build country capacity to deal with the crisis,” he said.